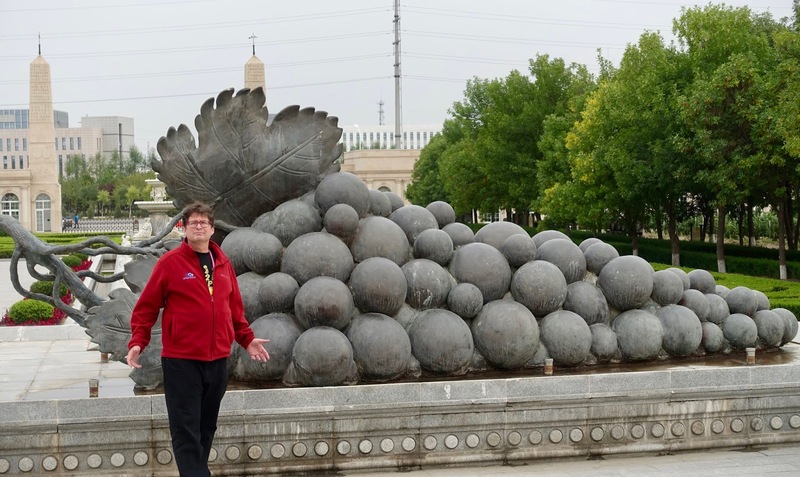 I always go where the grapes are, even if they're gigantic and made of metal. From Ningxia, China. 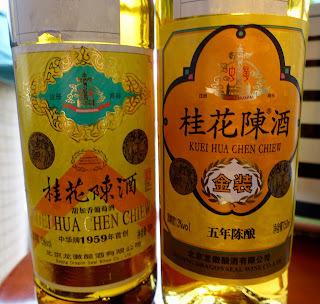 I liked the fruitiness of Kuei Hua Chen Chiew, and I also liked a light but distinct floral character. It has good complexity for umeshu, I thought. We drank it now and then at home with spicy food, sometimes at refrigerator temperature and sometimes on ice. Then I moved back to the U.S. and had not drank it since. We would see it in Asian grocery stores and smile and reminisce about how we used to like it. But our palates had matured. We had moved on to the good stuff. You know, quality wines that win awards from independent wine professionals who judge blind. I have high standards, you know. I related to Kuei Hua Chen Chiew the way you might relate to jello shots or Four Loko or Red Bull and vodka. Been there, done that, all grown up now. Flash forward to September 2018. I'm in Ningxia, China, judging at the Asian Wine & Spirits Competition. My panel chair is Sarah Jane Evans MW, who I hadn't seen since a crazy dinner at Charles Smith's house in Washington that got some of my readers sued. We had a laugh but Sarah Jane is a serious wine expert and she set a professional tone for our panel. We had a flight of Chardonnays, and the last one, a 2011 vintage, seemed to be a dessert wine, but wasn't listed as such. We didn't want to judge it as a still Chardonnay: it had a golden color, and it smelled like plum, wildflowers and oxidation. It wasn't a bad aroma, but not what you want in a regular Chardonnay. Sarah Jane insisted that we know whether it was a dessert wine so we could judge it in context, and eventually we learned it was infused with flowers. We judged it as a dessert wine and loved it. Four of our five panelists gave it the highest score we gave any wine. When we turned in our tasting sheets we were sure it would earn a Grand Gold medal. And we were all intensely curious about it. Moreover, we knew that this was the one wine whose identity we could learn. We tasted a dozen Marselans, and some were excellent, but there was no way later we could look at a medal-winning Marselan and know if it was our favorite. But there are not many 2011 Chardonnays infused with flowers: all we had to do was wait for the medal ceremony. However, when the list of Grand Golds showed on a big screen, there was no 2011 Chardonnay. The gold medal list went by very quickly and we didn't see it on that either. I was sitting near Sarah Jane and she was more upset than I was. We pestered the organizers. We thought we had a scandal (here at The Gray Report, we do scandals). The missing medalist! Robbed! Disrespected because it was different! It's probably not a surprise at this point in this post that the missing medalist was in fact my old friend Kuei Hua Chen Chiew. 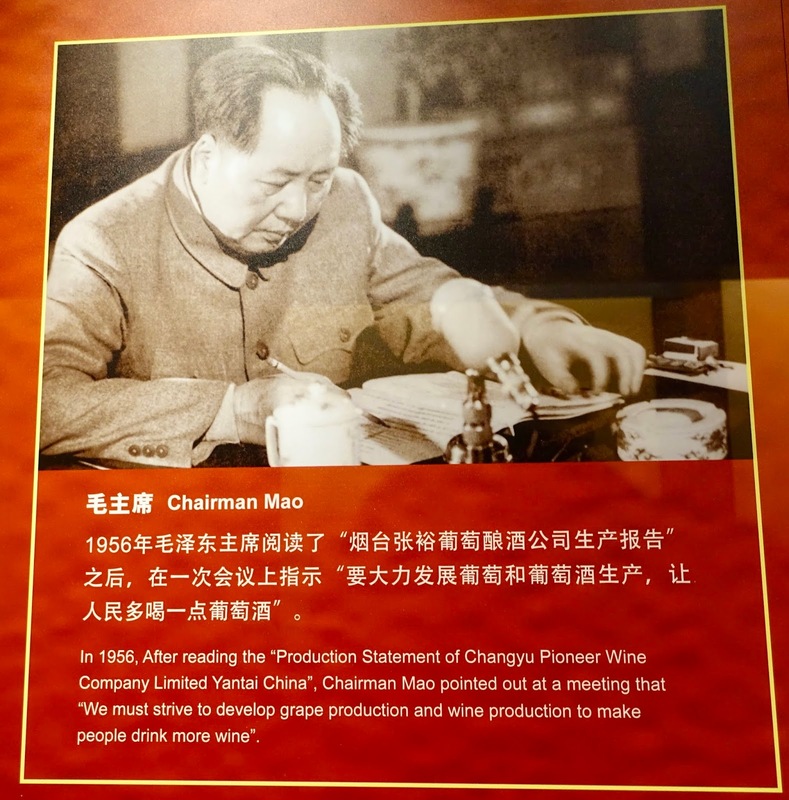 A former executive at Dragon Seal Winery was at the competition, and while we were investigating the medal scandal I managed to find out how Kuei Hua Chen Chiew is made (in case you can't tell, I like saying Kuei Hua Chen Chiew.) I didn't talk with the winemaker, but this is my best understanding. Fresh osmanthus flowers are harvested. They are very fragile so they are placed in sugar immediately to preserve them on the drive to Beijing. Osmanthus flowers are a popular seasonal ingredient in Chinese cuisine, and the sugar-preservation method is centuries old. The flowers are added to white wine, which is distilled. Then this flower-wine distillate is added to a batch of fresh white wine. The resulting liqueur is aged for one to three years. Sometimes sugar is added. 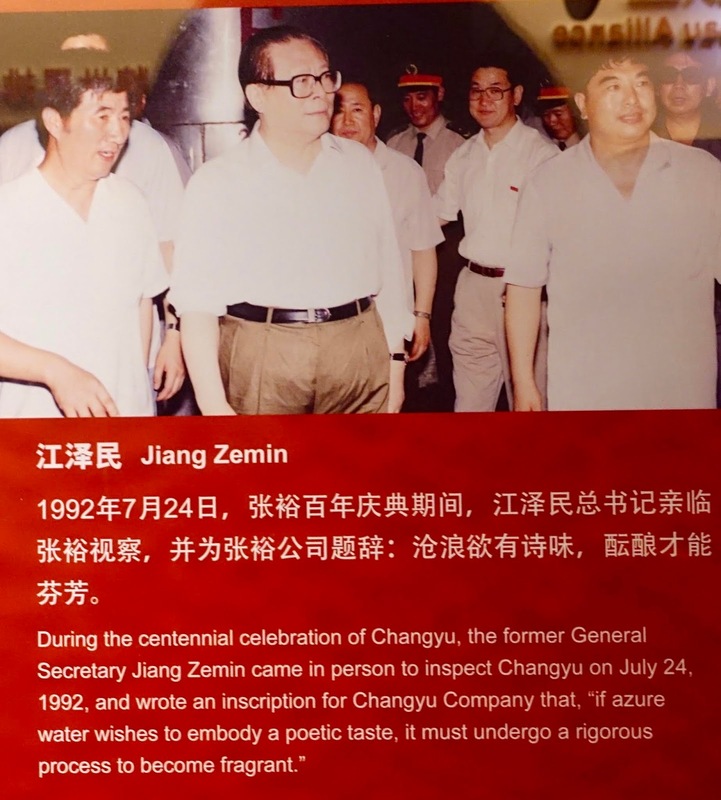 The executive said Chinese people have been drinking wine like this since the Qing Dynasty, which ran from 1644 to 1912, but before the 20th century it was made using rice wine. For the last 100 years or so, Dragon Seal has used grape wine. Chardonnay as the base wine is a new development. For years the wine was made only with Dragon's Eye, a native Chinese grape usually used to produce sweet wine. Interestingly, the idea of using Chardonnay is to give some taste of oxidation, for a long Sherry-like finish. The distillate is still made with Dragon's Eye grapes. I was told that in China, Kuei Hua Chen Chiew is a regional drink. It's popular in Guangdong in the morning (! ), because diners there have a sweet tooth, and they like a glass with a mid-morning snack. It's popular all across southeast Asia, which is sort of how I found it, and it makes sense because a slightly sweet beverage is nice with spicy food. I used to drink it on the rocks. In the U.S., you can find it in Asian supermarkets. You can also order it over the Internet, though the shipping charges will be a lot more than the bottle price, as it's generally about $6. There are now two versions, the Chardonnay version which has a synthetic cork, and a Dragon's Eye version that is screwcapped. If you can find the Chardonnay version, get that one. I don't know which version you'll get if you click this link to order it, and it's possible the store doesn't know either. Ask about the closure. Here is the happy ending. It turns out Sarah Jane and I couldn't read the gold medals as they flashed by. 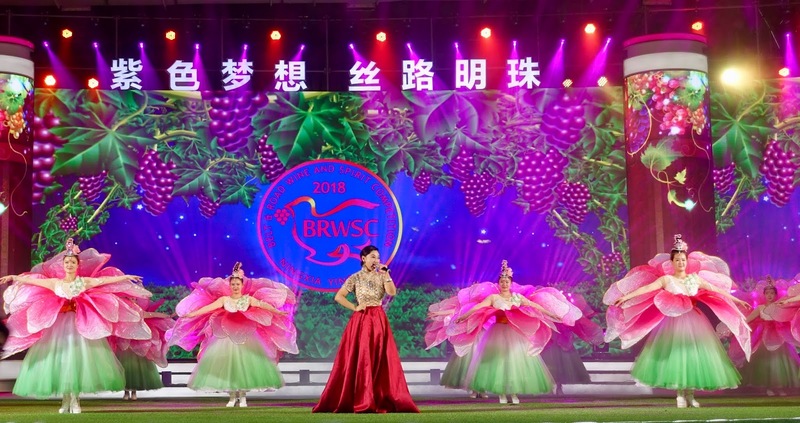 I was distracted by the many attractive women on stage in colorful outfits (it was a very Chinese ceremony), and I don't know if that's also Sarah Jane's excuse, but she can use it. Kuei Hua Chen Chiew won a gold medal! I tasted it blind and thought it was even better than that. I feel so validated. My youthful indiscretions are nothing to be ashamed of! Maybe I should run for Congress. 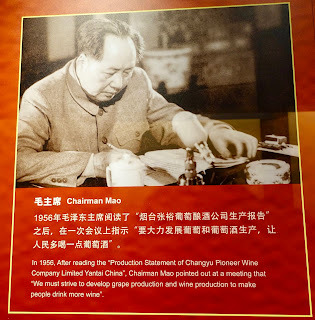 Read my story on Wine-Searcher about the state of China's wine industry. Super informative and interesting post. Now i have to run out to my local chinese grocery to try it.Thanks. "Opening ceremony for a wine competition. I think they're supposed to be ... pollinated?" I like this post for two reasons. 1. 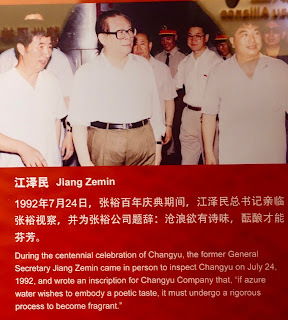 I was fascinated by that osmanthus flower wine but didn't get time to dig deeper for info as you diligently did, so excellent: I've learned more. and 2. I was wondering how the potential "medal scandal" story turned out... pleased to discover it had a (relatively) happy ending.